It's almost New Years. Do you have a new calendar yet? 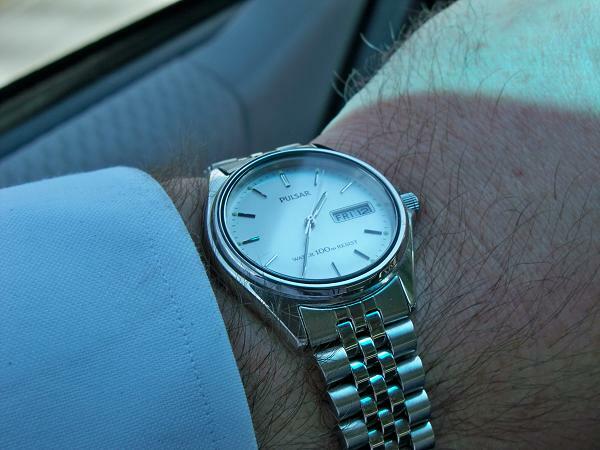 If you've been following this blog for awhile, you know I take lots of pictures of watches. This year I decided to bring some of them together in a calendar for 2015. 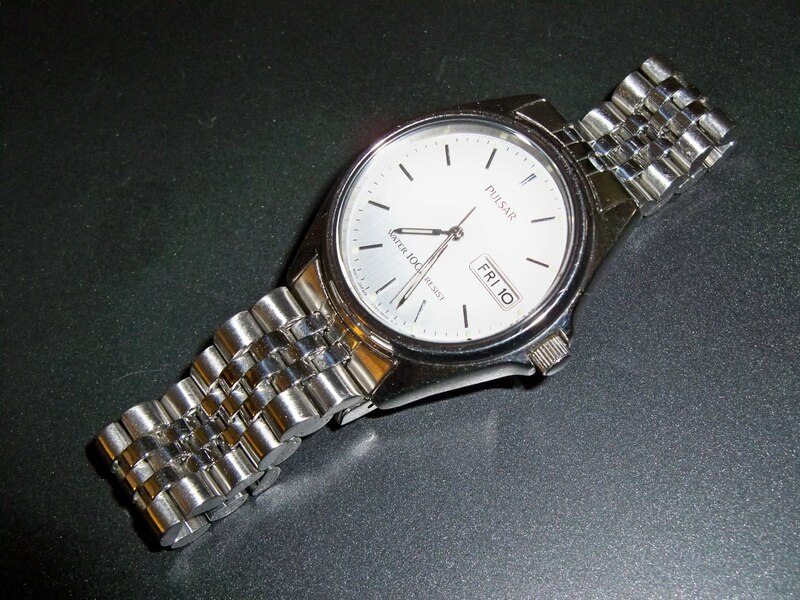 I've got lots of pictures of watches for normal folks: Pulsar, Timex, Casio, and more. If you have enjoyed the photos on this blog, you may enjoy the photography in this calendar. It's time for a shameless plug of my own. Besides watch collecting, I also enjoy photography. I took some great shots when I lived down in Florida. 2015 is a New Year. If you are looking calendar that will look good on your wall, please check out my calendars here: GatorDude spotlight on Lulu. I've republished my calendars for 2015. My other calendar topics are the Forgotten Coast of Florida! It's a relatively undeveloped stretch of the Florida Panhandle. from the 1950s near Crawfordville, Florida. These calendars are a beautiful addition to any kitchen wall or office space. If you are a photographer, they'll also give you a chance to see what you can do with your own calendar project. 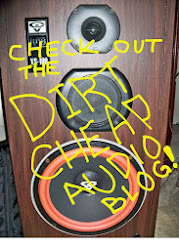 This concludes my shameless plug! I've got an all new Watch Review scheduled for tomorrow! I hope you have a great New Year no matter how you keep track of it! I've been noticing the watch kiosk at my local mall. 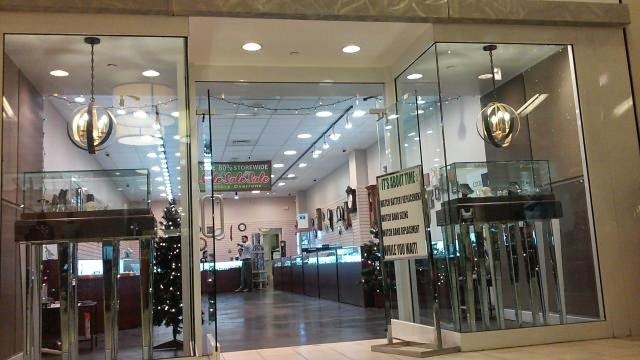 It seems to attract a little more attention than the conventional watch stores. For the young urban mall crowd, bigger and flashier watches seem to rule. Many of the brands seem to be Diesel inspired. 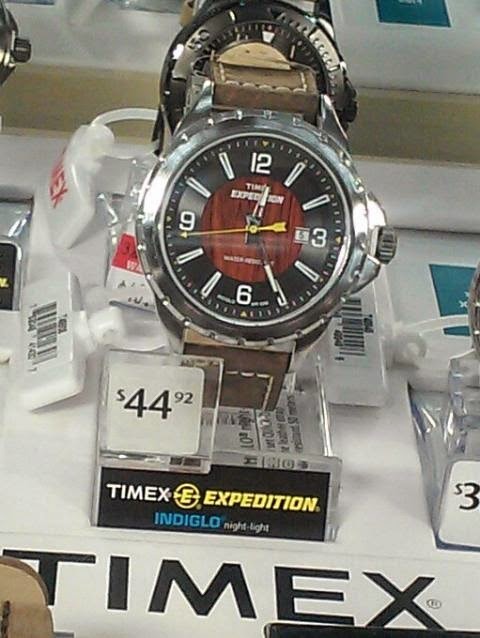 However, Diesel watches aren't clearly displayed. I think they may be on a higher shelf behind the glass lest they walk in the bustling mall. The kiosk features brands like Gino Milano, Onyk, Omax, and Charles Raymond. I'm not sure what they are charging for each watch. I wish prices were clearly marked. Some watches are packaged in a premium way and others are just laid out on the shelves. However, these watch brands actually actually appear to be inexpensive online. For example, most Onyk watches retail for less than $30. If you are a fan of the big watch look, these Onyk watches might actually be a great alternative to far more expensive watches from Diesel. However, Diesel has been pushing the watch form into interesting multi-dial designs. There are multi-dial watches at the kiosk. One brand that caught my eye is Omax. They have a variety of multi-dial designs and a few conventional looks as well. On Amazon, the brand is also very competitively priced. I'll have to explore these brands a little more. Perhaps, I could open a watch kiosk right here on this very blog! Do you or does someone on your gift list enjoy the glitz and glamour of the casino? A sharp suit, highly polished shoes, cuff links that dazzle, and an incredible watch complete the mental image of a sharp dressed high roller. 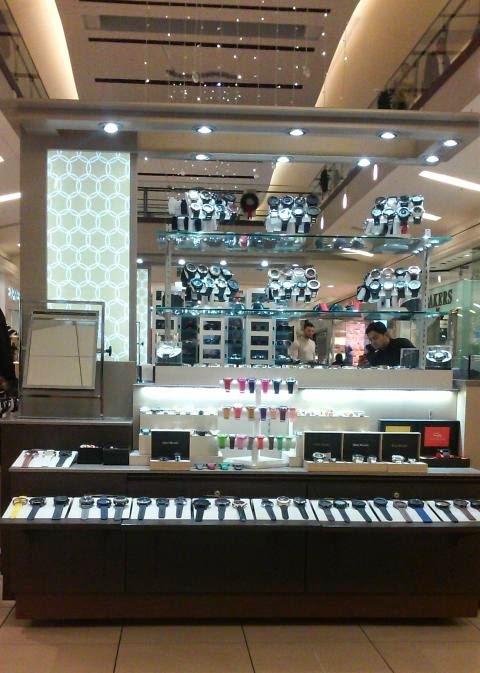 The bright lights of Vegas beckon everyone to the world of wrist watches! For those who close their eyes and imagine the click of a roulette wheel, check out these watches from Elgin and ZIZ with a roulette wheel motif. If any watch company brings the bling to town, it's the new Elgin brand. It puts all the glamour of Vegas on right on the wrist. But, for those who would rather put their chips on the table and say, "Hit me!" 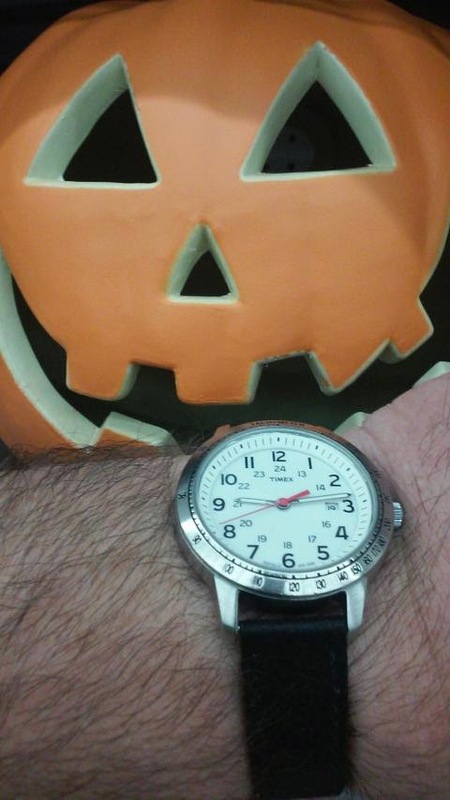 This inexpensive TWK novelty watch has a cool Blackjack design. For folks who want to take their game upscale and party with the high rollers, check out this Gevril Playing Card Watch. It's a classy playing card watch alternative. It's a true luxury watch. There are lots of interesting watches in this world. But, when you bet on one of these watches from Amazon, it's a sure thing. 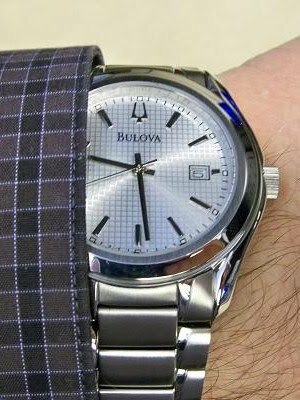 If you are looking for a reasonably priced Christmas gift for a man, a watch might be the perfect answer. Amazon has plenty of watches under $50 . 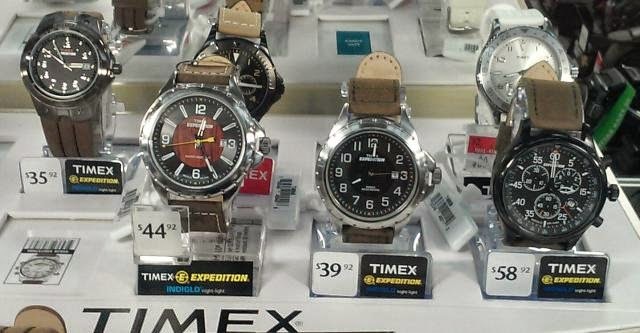 When you first think of a watch under $50, you probably think of brands like Timex, Casio, and U.S. Polo Association. But, there are many affordable watches with more exotic brand names. 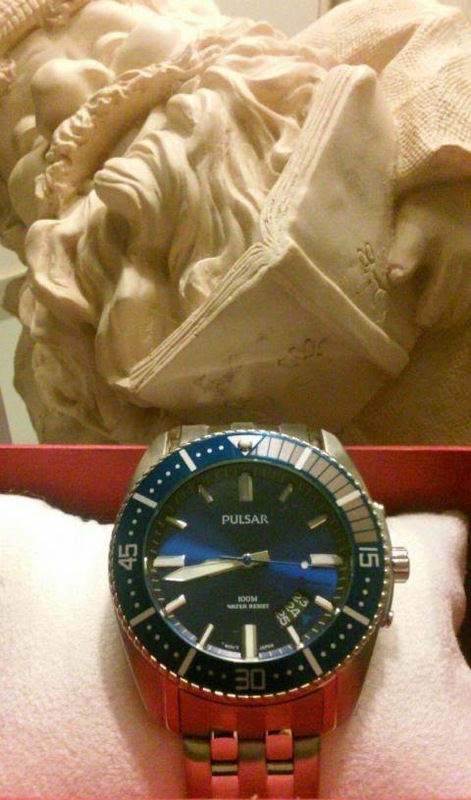 Every man has to have at least one diver-style watch. SO&CO New York Men's Yacht Club Analog fits the bill perfectly with a great price, a rotating bezel, and 330 feet water resistance. If you are looking for a simpler style with a Euro look, you might check out Breda watches. If you like watches like Panerai, you'll love the looks of Breda. 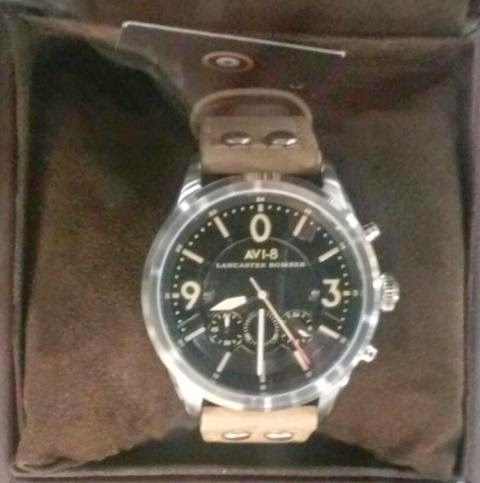 With just a little looking you can find an unusual watch for a nice price! Want to show your team spirit? The GameTime Agent Series is an officially licensed team watch for every day use. If you are looking for an officially licensed team wristwatch, you might try the GameTime Agent series team watch. These watches retail for about $30 on the Gametimeshop.com website, but my wife happened across a Florida Gator watch for me from GameTime at Walmart for $20. The Gametime Agent series watch is a traditional analog watch featuring a stainless steel case back, a silver plastic case, a rotating black bezel, and a black nylon and Velcro strap. 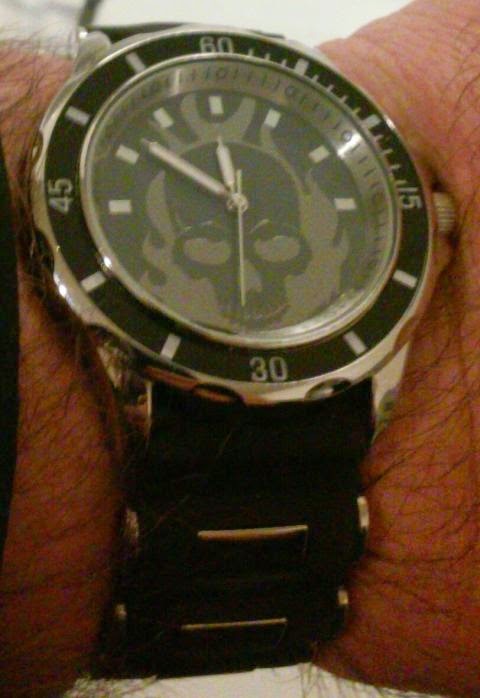 The face of the watch features a team logo on a background of team colors. Agent series watches are available for most major college teams, most pro football teams, many pro basketball teams, several pro hockey teams, several NASCAR drivers, and even the fictional favorite driver Ricky Bobby. My Florida Gator watch has the familiar toothy Gator logo in an orange oval set against a beautiful blue background. It looks great. 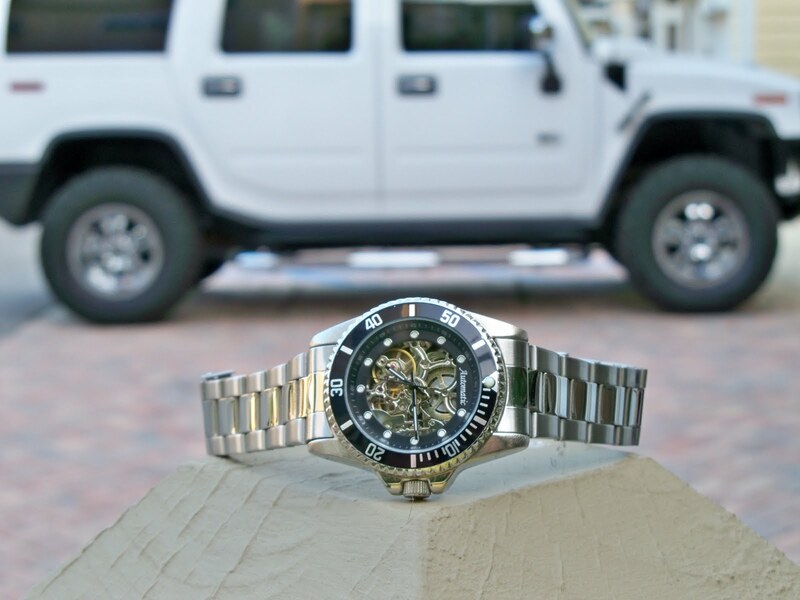 According to literature supplied with the Florida Gator watch, the Gametime Agent Series has a quartz movement and is shock resistant and water resistant down to 3 Atmospheres. The Gametime Agent series is covered by a limited lifetime warranty that mandates an $8.50 handling fee to service the watch. 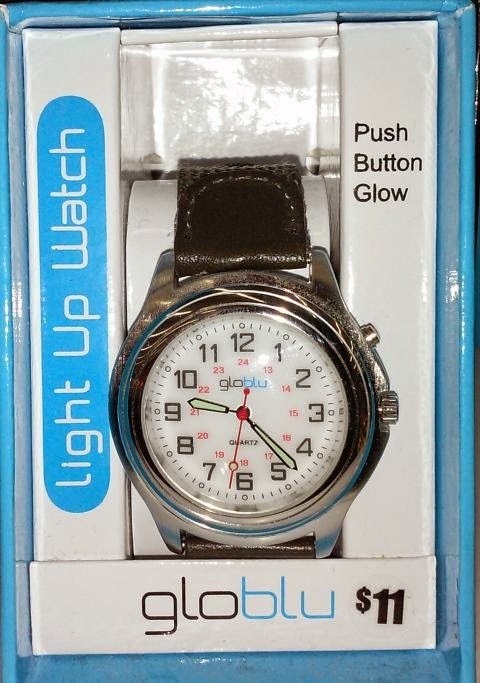 When my wife initially bought me the Gator Watch, I was re-assured to see that a tiny plastic spacer was preserving watch battery life by keeping the watch stem from being pressed in. 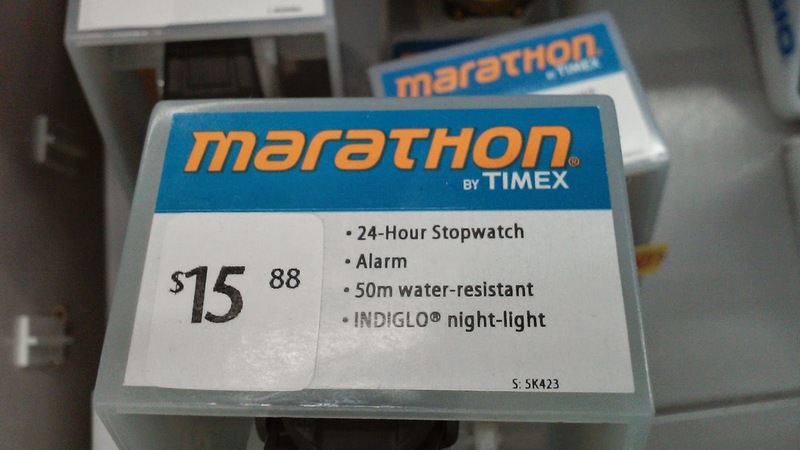 Nothing is more annoying to watch buyers than seeing a battery-powered wristwatch ticking away valuable battery life in a store case. As a Gator fan, the team logo immediately biases me in favor of this wristwatch. 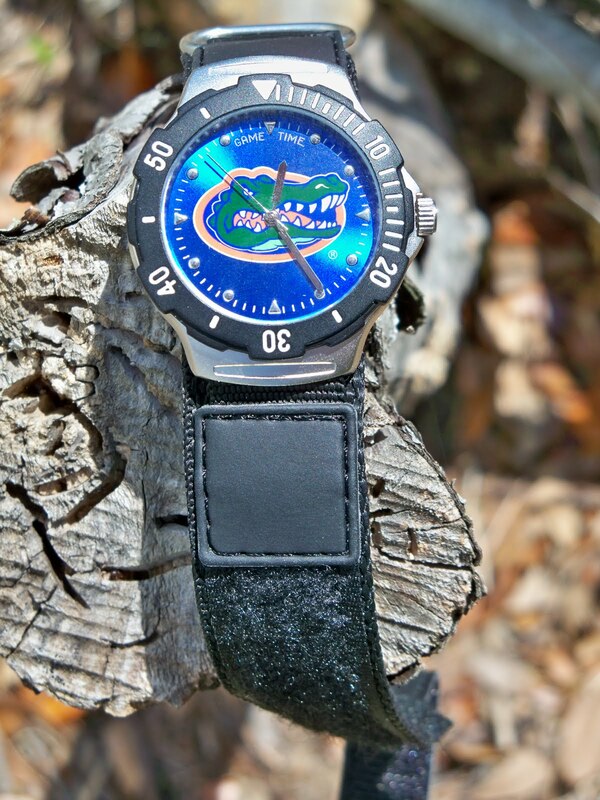 Beyond the officially licensed Gator logo, the Gametime Agent Series watch has sharp styling. The black bezel rotates easily and can be used to measure elapsed time with the first twenty minutes marked with white 1-minute hash marks and additional hash marks every five minutes around the bezel. Legible white numbers are placed on the bezel at 10 minute increments. From a distance or on casual examination, the GameTime Agent series watch does not look cheap and would not be embarrassing in any social situation. Fit and finish are good and meet typical expectations for Chinese-made consumer products. The watch is light weight and easy to wear all day. 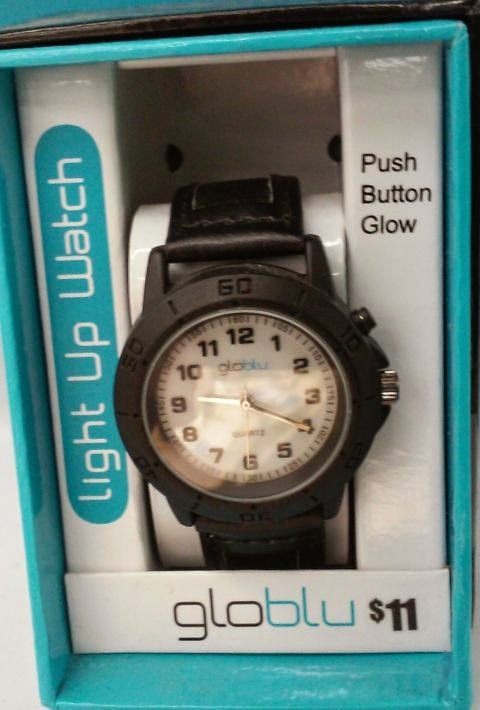 This NCAA-licensed watch is sized for men without being a clunker. The Gametime Agent series watch has a 1 and 5/8-inch diameter face and 3/8-inch thick body. 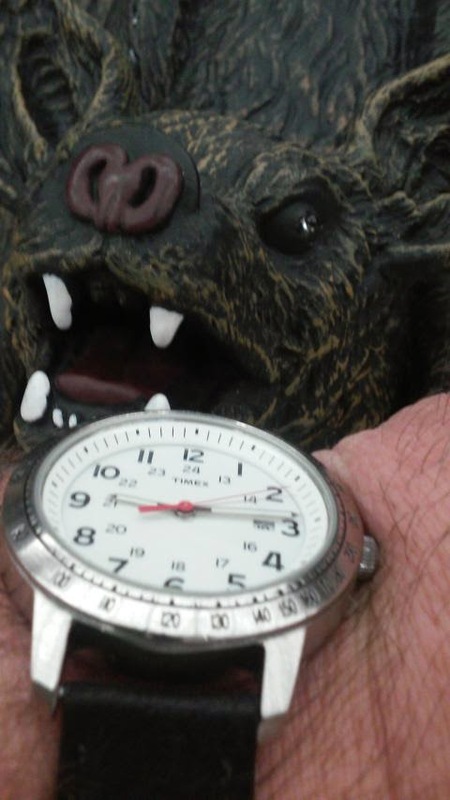 My Gator watch does not have the weight, heft, or polish of my larger multi-function watches. However, the Gametime Agent Series team watch functions well and the Japanese movement kept accurate time over two days of observation against an accurate clock. Since I have rather large wrists and have trouble finding watches that fit, I was most impressed by the generous 10-inch band length provided. 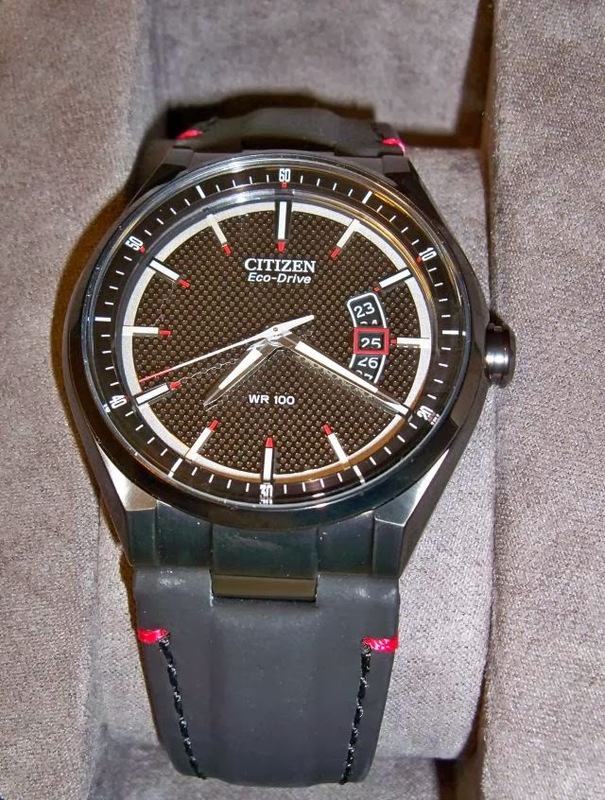 Of course, no $30 wristwatch is perfect. Even a Gator wristwatch has a few flaws, for example the Velcro wrist strap looks like it would be difficult to remove from the watch. Since the wrist strap covers the stainless case back, it is difficult to read the etching on the back and it would be difficult to change the battery. The Velcro band is backed by typical black nylon webbing and tends to trap heat and perspiration. 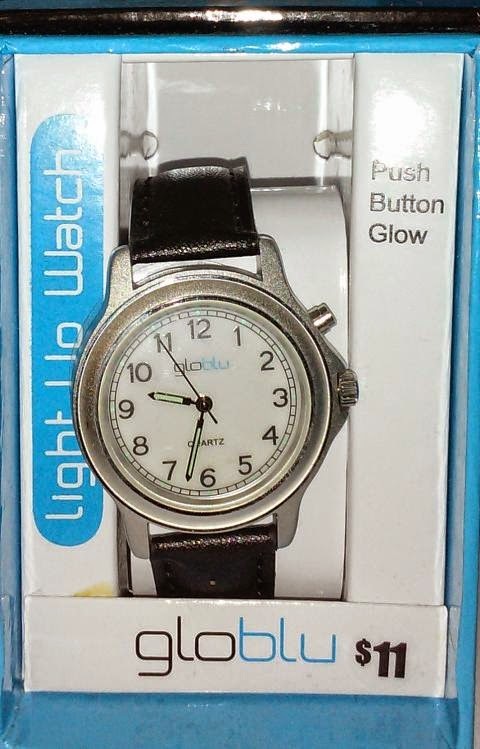 This NCAA licensed watch also lacks "glow in the dark" or back light features. 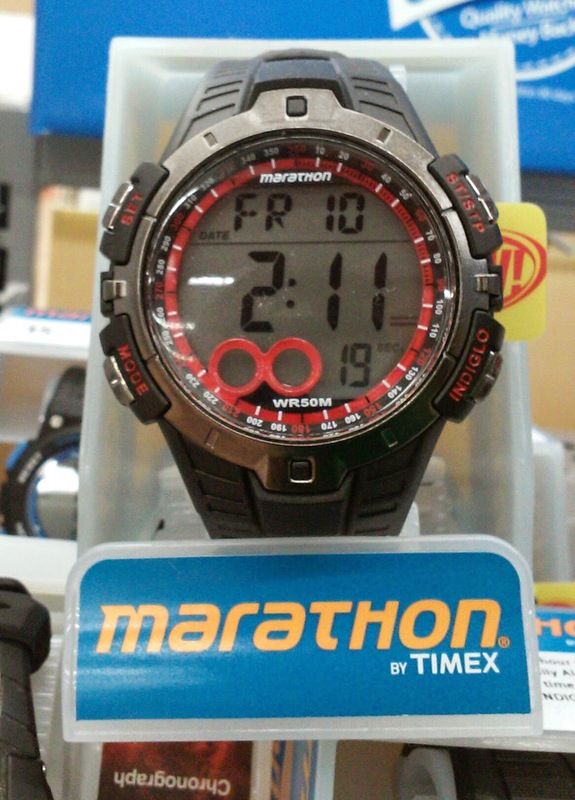 You also won't find any calendar features on this inexpensive Gator watch. This watch just doesn't provide the date or day. Finally, at $8.50, the warranty handling fee hardly seems worth the trouble if the watch breaks. Overall, I'm pleased with my GameTime Agent Series wristwatch. It simply looks nice and allows me to show support for the Florida Gators every day. My friends over at ZuluTimeZone are still blowing out there remaining inventory of Insignum watches at bargain clearance prices! You can get a $250 Insignum watch for less than $75 + shipping. All of the watches feature contemporary German design and quality control. Insignum is a fledgling brand from Germany. They combine German engineering and Asian manufacturing to bring an affordable high quality watch to your wrist. However, as I understand it, the brand seems to have withdrawn from the American market to focus on Europe. That means you get a European designed watch that NO ONE in your office will be wearing. 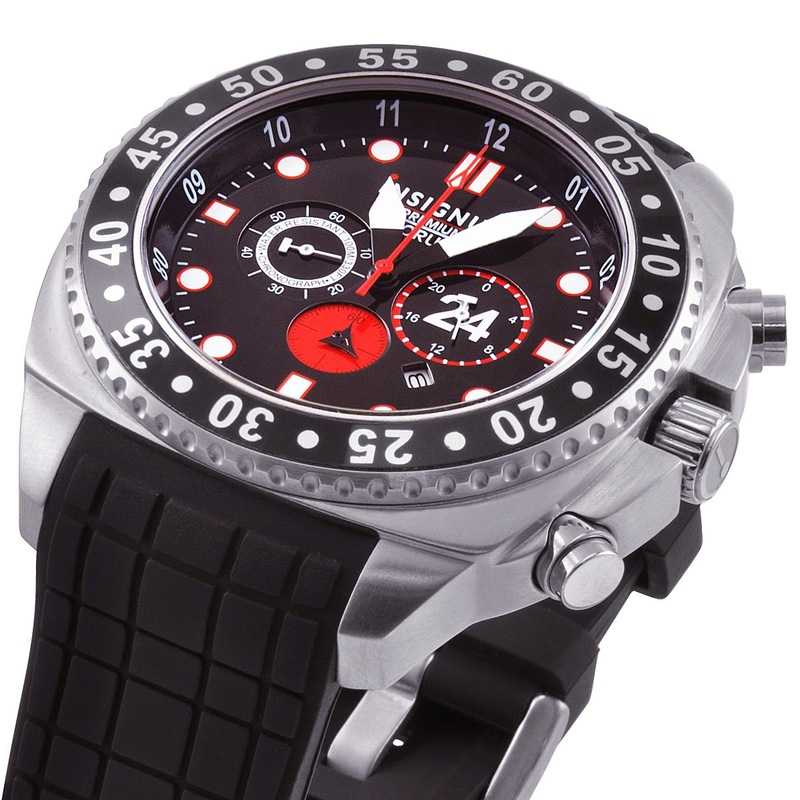 The Insignum Forum Black 3 Eye Sports Chronograph shown below looks great. But, the ZTZ clearance sale is a no returns, all sales final, while supplies last kind of deal. If you want a great deal, you need to jump on it. If you peruse the rest of the ZTZ website, you'll notice a couple of great buys. First they have a pre-sale going for Android Parma 200 Automatic Dive watches. These are limited edition watches that can be ordered with a free kit. The Android Parma 200 offers 200-meter water resistance and a traditional dive watch look with a bit of Android flare that looks really good. Second, you might notice another interesting brand at affordable prices: Techne. 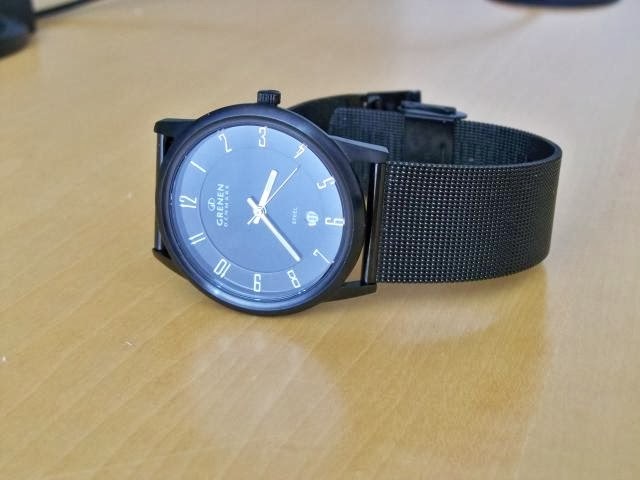 They've got some really sharp looking aviation inspired watches like the Techne Merlin at prices that compete with the department store watches that everyone wears. As the winter chill finally makes its way down to Georgia, I ran across the perfect car to go with my Drive by Citizen EcoDrive watch! It's a black Jaguar XK! With a 5-liter V-8 and a top speed of 155 miles per hour, it would definitely get me to work on time. 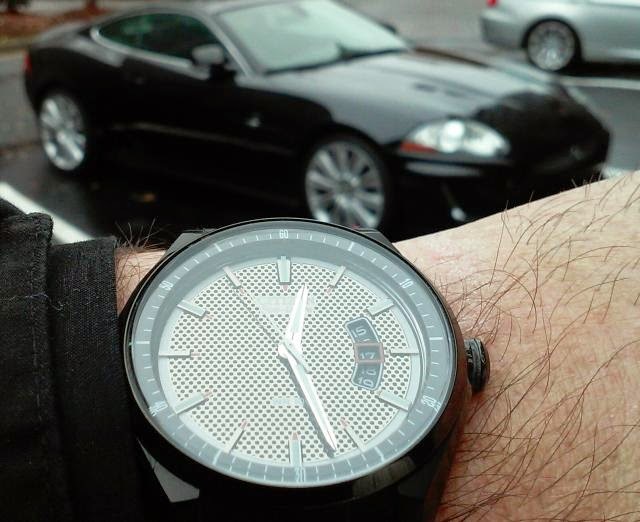 It think that this Jaguar would really complement my wardrobe and watch collection. Since these black cats start at only $84,500, I'm only about $84,600 away from owning one of my own! One thing we don't make a big deal about in the south is hockey. It's too bad. We could enjoy the coolness of a hockey rink and the sport confirms that Yankees can be rude--with all those checks into the boards. In Atlanta, we lost our NHL team to some place in Canada. We still have a great minor league team called the Gwinnett Gladiators. If you are a hockey fan, it is time to gear up with jerseys, hats, and even watches. There are plenty of officially licensed NHL team watches on Amazon.com.